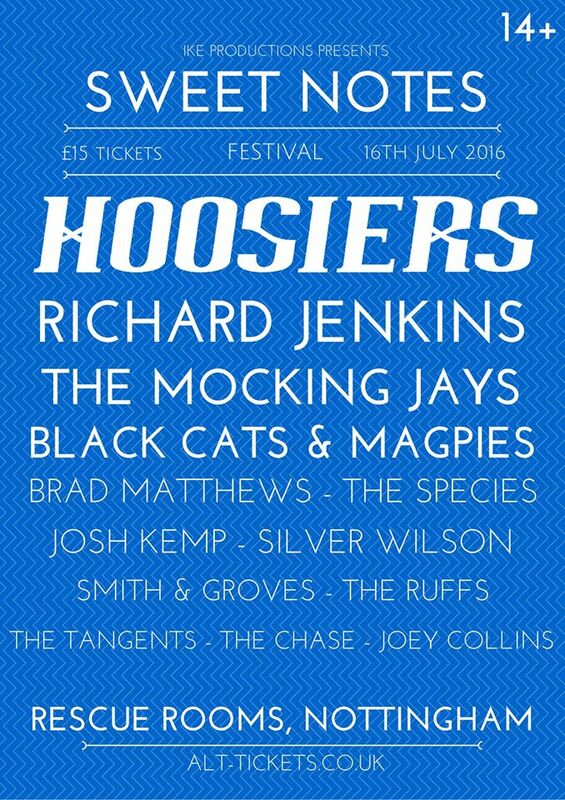 From the team organising Macmillan Fest, there's a new one-day festival in Nottingham next month giving local indie artists the opportunity and the platform to support larger artists, with The Hoosiers headlining. The festival is taking place at The Rescue Rooms and the venue's smaller upstairs space, Red Rooms. There will be thirteen acts performing from 2 til 10pm, with no clashes at all (if you want to go up and down stairs several times during the day to really get your money's worth!) Headlining the second stage is local rising artist Richard Jenkins - check out his first music video here. Looking forward to hopefully getting along to the show to see The Hoosiers in the venue where I saw them for the first time back in May 2011! Tickets for the day are £15 in advance and available here, and join the Facebook event here.